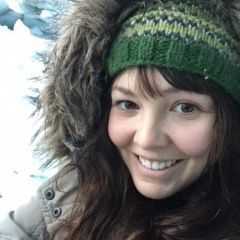 Stephanie has been a massage therapist since 2012 when she attended The Alaska Institute of Oriental Medicine, Acupuncture, and Massage Therapy right here, in beautiful Anchorage, Alaska. She has been interested in massage since she received her estheticians license in 2007. Stephanie uses aspects of Chinese medicine and cupping techniques in her massage as well as flares of Thai massage. She is a seasoned Acro-Yogi in the community. Stephanie likes to be hands-on in patients’ treatment and is always happy to share her extensive knowledge to make it a more personal, individual experience. She has been through the first training course for Cranial sacral therapy which can help disperse headaches. When Stephanie is not in the clinic working her magic, you can find her up on the glaciers and exploring the last frontier on all kinds of scenic adventures, rock climbing trips, or hikes. Stephanie is a passionate healer and will be a wonderful addition to your treatment plan.